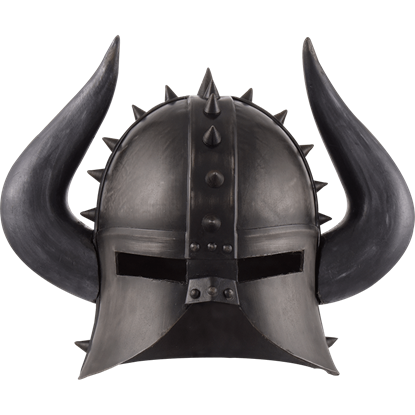 The barbarian hordes are no strangers to using fear as a weapon, and this Barbarians Horned Helmet demonstrates that, utilizing great horns to enhance look of this helm so that it made its wearer much more intimidating in battle. 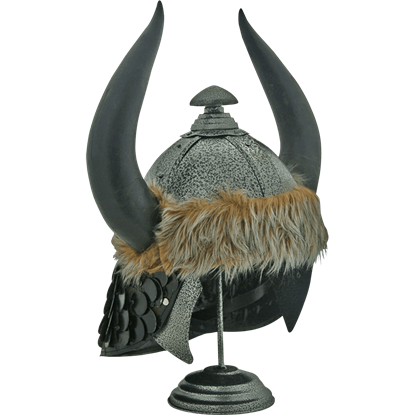 Berserkers were fierce Norse warriors who were fearless in battle. 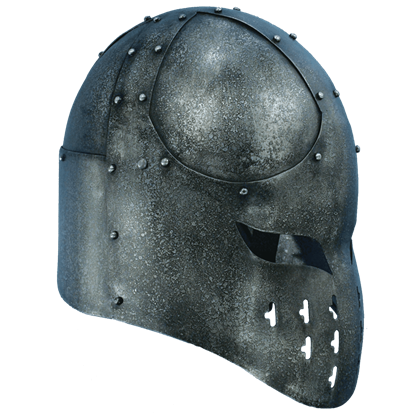 They intimidated enemies by wearing bear or wolf skins, and an awesome looking helm like the Berserker Steel Helmet would have paired nicely with their attire. 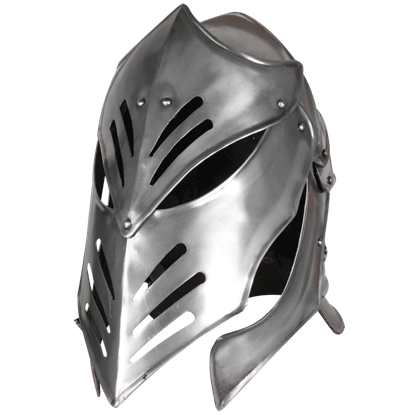 As warriors rise from the grave, they will appear in a wide range of armour styles. 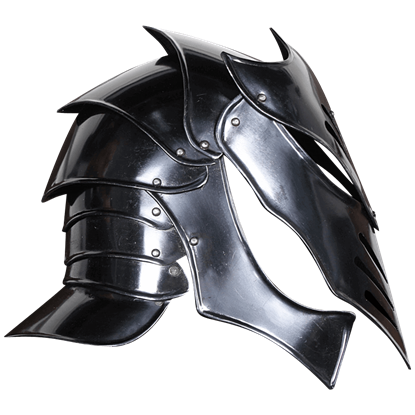 The Blackened Undead Helmet blends various elements of historical helms in a design that will go great with fantasy or medieval ensembles. 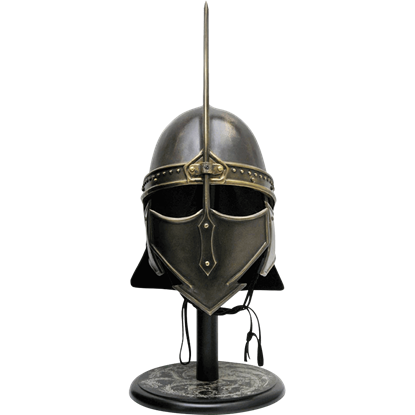 Worn by Thorgrim during the course of the movie, Conan the Barbarian, the Conan the Barbarian Helmet of Thorgrim by Marto is a barbarian helm that provides not only adequate protection, but also a small level of intimidation. 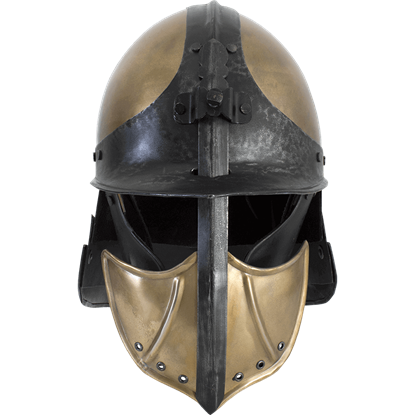 Worn by Queen Taramis during the course of the movie, Conan the Destroyer, the Conan the Destroyer Helmet of Queen Taramis by Marto is a wicked helm that provides not only adequate protection, but also a small level of intimidation. 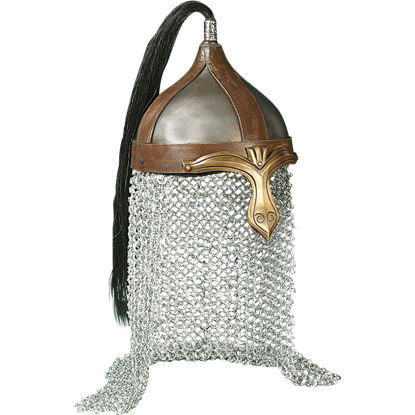 This fantastic helm has leather straps on the crown and a real horsehair top knot. 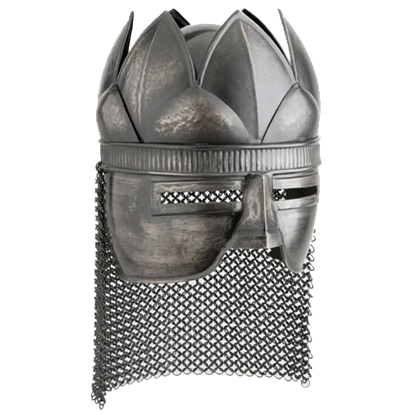 The brass nose guard and the steel pot have an antiqued finish. Mail skirting protects the neck for added defense when worn. 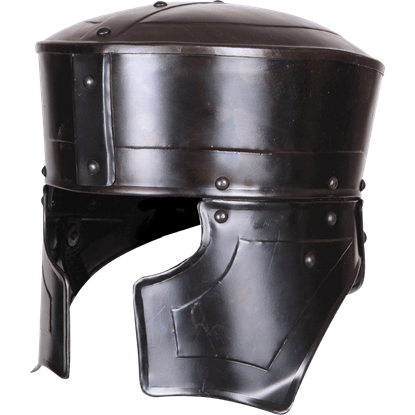 The Ratio Helmet has been designed to protect the head during combat while stunning your opponents with your awesome headgear. 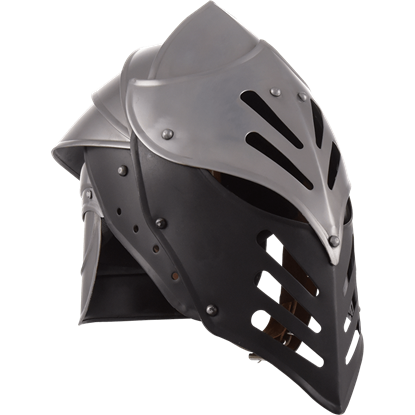 The brass and black coloration of the fantasy helm ensures it goes great with our other Ratio armour. Through ceaseless dedication and masterful skill, you have gained the highest rank of the knighthood. You stand as the strong right hand of your ruler. 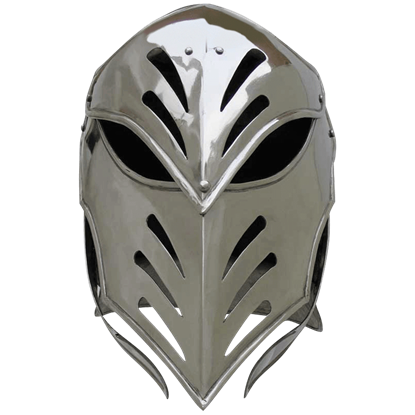 Your vigilant eyes observe the kingdom from within the Reginald Steel Helmet.